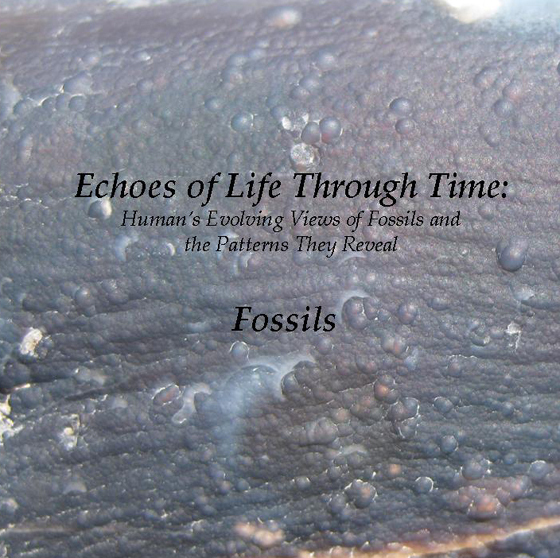 Echoes of Life Through Time: Human's Evolving Views of Fossils and the Patterns They Reveal explores the human realization that rocks have recorded a history of life on Earth. Read this article to learn more about the groundbreaking work that led to an understanding of how fossils form and to the revelation that Earth's fossil record threw light on extinction and evolution. Read Fossils to learn about our current understanding of taphonomy and types of fossil preservation. Use The Virtual Petrified Wood Museum to cruise the fossil record and discover patterns of evolving life through time. The background image used for links to our articles above is a close-up of royal purple and blue botryoidal agate covering the exterior of a Blue Forest petrified limb from the Green River Formation of Wyoming.